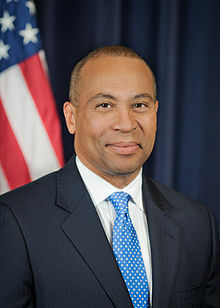 Despite having his state of the Commonwealth address delayed by a snowstorm, Governor Deval Patrick was required to release his budget proposal this past Wednesday to officially kick off budget deliberations for fiscal year 2015. A huge win for elder home care services came in line items that support the Aging Service Access Points and state Home Care Program, which received an additional $16.9 million, according to Executive Office of Elder Affairs Secretary Ann Hartstein. Among those funds are increases of $9.8 million for the Enhanced Community Options Program (ECOP) and $7.5 million for the “basic” category of services. The Governor also put a $1.3 million increase to the Senior Supportive Housing account, which will expand “assisted living facility-type services” for seniors in public housing. Specifically, the money will add another 10 public housing sites where senior residents will be supported by home care services. Another $1.2 million was added in a new line item titled “Home Care Workforce Training Fund.” This new account will support workforce training for Aging Service Access Points, although the administration is not yet clear on which workers will receive training. Case management, protective services and direct care workers are all on the table as potential recipients. MassHealth experienced major changes in the budget, mostly related to federal healthcare reform. Since the MassHealth Basic and Essential programs were eliminated, a combined $706.3 million is now in populations with expanded coverage and in the new MassHealth plans. The MassHealth Senior Care account was granted another $271.4 million by the Governor and the MassHealth Managed Care account saw an additional $336.7 million. The MassHealth Fee-for-Service line item was raised by $205 million. It is unclear how these increases might result in better reimbursement rates for home health agencies. A formal rate reassessment hearing is still being eagerly awaited. Applying the state sales tax to candy and soda. The administration estimates that would raise roughly $57 million for health promotion and prevention programs. The Governor’s budget includes a special fund for federal assistance (FMAP) relative to health reform and healthcare access expansion called the Health Insurance Expansion Fund. The DPH budget gets an overall increase of 1% with details in Commissioner Cheryl Bartlett’s “Mass Public Health” blog post. Stay tuned for more budget-related news and advocacy alerts. The Senate Committee on Ways & Means continued the state budget-making process today by releasing their version of the FY14 budget, which will be debated before the full Senate next week. The $33.92 billion proposal is a $1.4 billion increase over estimated FY13 spending, but $904.3 million less than what the Governor proposed. The Senate Ways & Means version is also $67.5 million less than what the full House of Representatives approved in their budget last month. $4.5 billion for the MassHealth Managed Care line item – $39.5 million over the final House budget. $2.9 billion for the MassHealth Senior Care line item – $42.5 million over the final House budget. $187.2 million to fully fund the elder home care programs, an additional investment of $6.2M over FY 2013, to eliminate the current waitlist of 1,500 seniors. This includes $98.7 million for Home Care Purchased Services. $10.5 million for Grants to Councils on Aging, increasing support to $8 per elder, marking the highest ever level of state support for councils on aging. $2.1 billion for the MassHealth Fee-for-Service line item – $7.2 million LESS than the final House budget. Level-funding the Pediatric Palliative Care Program. The Home Care Alliance will again be working with Senators to file three budget amendments to create a home health certificate of need program, establish MassHealth reimbursement of home telehealth, and strengthening pediatric home health. As the Alliance works over the next few days to submit these amendments, association members and advocates should be on the lookout for “advocacy alerts” with message templates that can be sent to Senate offices. Of course, more information on budget development will be released as it becomes available. The House Committee on Ways & Means released their proposed version of the FY 2014 state budget today and although many items are reduced from what Governor Deval Patrick proposed, most items are still an improvement over fiscal year 2013. House Ways & Means’ $33.8 billion budget reduces the MassHealth Senior Care, MassHealth Managed Care and MassHealth Fee-for-Service line items by a total of $205.8 million from what the Governor proposed, but those items still represent a collective increase of $625.1 million above the FY13 budget. Meanwhile, most Elder Affairs line items that fund the State Home Care Program, administered by the Aging Service Access Point network, received slight reductions. One item, Home Care Case Management and Administration, saw a $478,097 increase over what the Governor proposed, but $593,317 less than the FY2013 number. Below are the line items, the House Ways & Means funding level, and their difference (+ or -) from the Governor’s proposal and the FY2013 budget. Also included is a brief explanation of what the line item covers. The MassHealth Senior Care item funds services for seniors on MassHealth as well as the Senior Care Options, or SCO, Program. MassHealth Fee-for-Service covers other MassHealth recipients not under Senior Care or Managed Care. Home Care Purchased Services and Home Care Case Management fund the operation of the state’s Home Care Program and its related contracts. The Home Care Alliance will be working with state representatives to file amendments seeking MassHealth reimbursement of home telehealth services, a certificate of need process for home health agencies in the state, and an adjustment to pediatric home health care rates. Budget amendments will be submitted by April 12th and the Home Care Alliance will send advocacy alerts looking for emails and phone calls asking state representatives for support on our amendments the week of April 15th. The full House of Representatives will debate the budget the following week. Stay tuned for more information and for advocacy alerts on how you can help gain support. Governor Patrick gave several hints about what his fiscal year 2014 state budget proposal might entail in his State of the Commonwealth address last week, but the announcement of his full budget plan sheds light on a bold plan. The Governor is proposing that the state sales tax be reduced from 6.25 to to 4.5 percent, which would give the state the eleventh lowest sales tax among those states that levy a sales tax. The Governor also proposes, however, that the state income tax be increased from 5.25 to 6.25 while doubling personal exemptions and eliminating deductions that benefit select taxpayers. According to the Boston Globe, the proposal, if approved, would raise taxes on about 50 percent of residents, beginning in January 2014, with the biggest increases on upper-income earners. This would all go to support transportation and education costs as the Governor alluded to in his State of the Commonwealth address. For general health care and home care-related items, the Governor’s budget increased funding in three MassHealth accounts (MassHealth Managed Care, MassHealth Senior Care, and MassHealth Fee-for-Service Payments) to meet projected need for those services. Such a move is in line with past years where more of a demand in MassHealth services has been a product of a recovering economy, continued expansion of state Medicaid coverage, and other factors. One item, MassHealth Nursing Home Supplemental Rates, has been decreased from the FY2013 appropriation by more than $20 million. In terms of the Elder Affairs line items that fund the Aging Service Access Points and State Home Care Program, the Governor proposes a sizable increase to Elder Protective Services over FY13 by $4.8 million. The Prescription Advantage line item amount was reduced, according to Elder Affairs Secretary Ann Hartstein, due to changes in Medicare Part D that will absorb the state’s share. The Elder Home Care Case Management and Administration account was dropped by more than $1 million, but all other Elder Affairs accounts remained relatively level funded. Other notable items include the elimination of the $20 million Human Services Salary Reserve. The comment on that line item is “eliminated funding due to reform,” which HCA is assuming means that the funding, or at least part of it, will be implemented elsewhere. The Alliance will continue to monitor that account and provide further information as it is released. To see the Governor’s budget proposal and learn more about the above items, visit his FY2014 Budget webpage.